EMUGE PoCoSys comprises a tool system for easier manufacturing and inspection of threads with specified starting position. All system components have been matched to each other - from the tool holder and threading tools to the setting gauges and testing equipment. There are increasing requirements in the production of internal threads that specify an accurate position of the thread start. This is the case, for example, with automated screw assembly of switches, sensors or electronic plugs, where radial alignment has a direct effect on functionality. 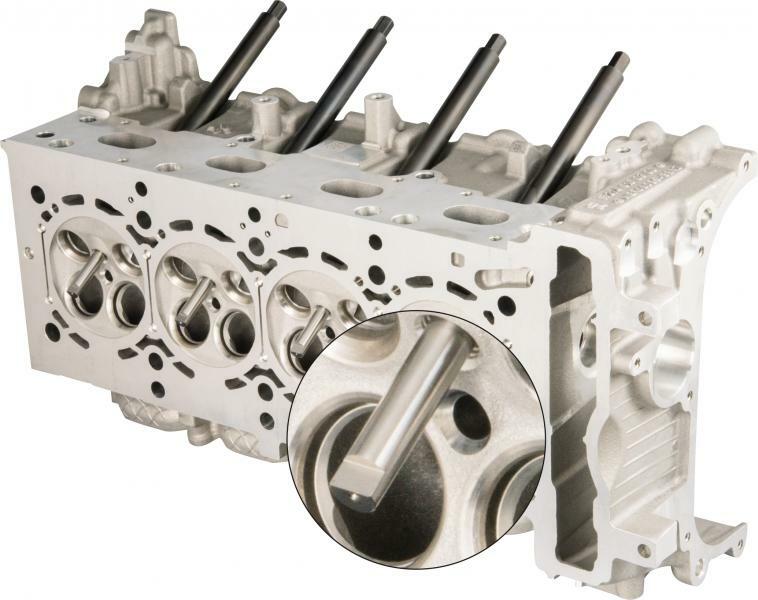 A defined angular position of the spark plug electrode is also increasingly aimed for in engine construction, as this can have a positive effect on combustion and emissions. 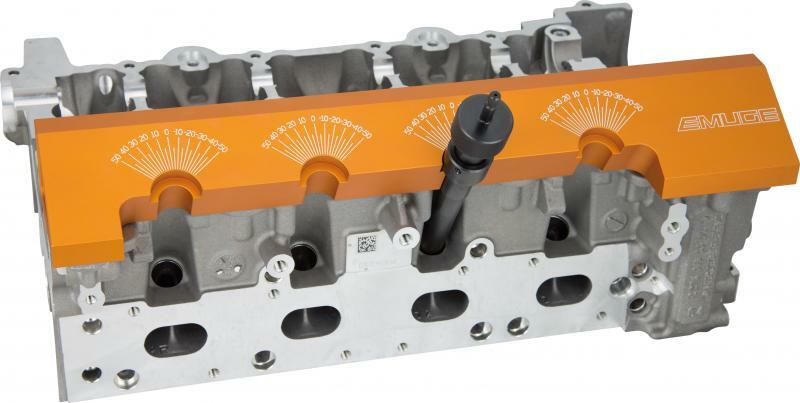 The Emuge PoCoSys program was originally developed for the production and inspection of spark plug threads requiring a specified starting position, but it can also be used for other applications where a predetermined thread start is needed. The PoCo-Bush position–setting bush, which is perfectly matched to EMUGE threading tools, is used for specified alignment of the thread start of the tool. The angular position of the tool is determined in a few steps in a presetting device, then the values can be entered directly into the machine control unit. This eliminates the need for time-consuming measuring operations or marking of the threading tools, the accurate position of the thread start is guaranteed from the first thread. In conjunction with the special PoCo-Synchro collet holder, an angular accuracy of less than 5° is achieved. PoCoSys also offers special devices for manual and automated thread testing. Manual thread testing is carried out directly on the workpiece in the production machine, irrespective of the pitch diameter, by means of a custom manufactured limit plate and a matching working gauge. The position of the thread start can be read off directly from a scale on the limit plate after the working gauge has been tightened to a defined torque. Since the workpiece can be checked directly in the clamping setup within the machine and therefore does not require any reclamping, time savings of up to 90% are possible compared to inspection in a measuring machine. A further system component, the PoCo-Gauge 3D, a special thread plug gauge GO, is available for inspection in a 3D measuring machine. It is also tightened with a defined torque. The position of the thread start is then determined by scanning a flat touch surface with specified position. Both inspection systems can be integrated into a certification cycle, in addition the 3D plug gauge is supplied with an inspection certificate. For nearly 100 years, the German company group EMUGE-FRANKEN has been one of the world`s leading manufacturers of precision tools for thread cutting, gauging, clamping and milling. With 1,800 employees, EMUGE-FRANKEN offers an innovative product program with 40,000 in-stock items and a multiple of that with customer-specific tools. The product range is focused on applications in the automotive industry, power plants, aerospace industry, medical technology as well as mechanical and plant engineering. As a system supplier for machining industry, EMUGE-FRANKEN has own branch offices or sales partners in 52 countries.